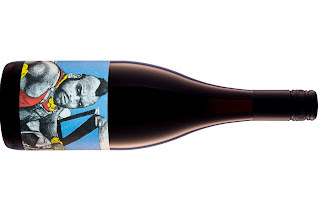 I was fortunate enough to catch up with Wes when I was trekking around McLaren Vale recently. Of the five wines he showed me, this stole the show for a host of reasons. A blend of fruit from Clarendon and Sellicks foothills (65/35), the Clarendon component showed more of a Pinot element. Pearson felt it needed more body so the two sites were blended. As Pearson said to me at the time, "The sum was greater than the parts. Grenache has that way about it. You can sit over a glass and contemplate or you can just smash it. There's an eminent drinkability to the variety." So true. He goes on to say, "These are the McLaren Vale stories we need to get out. Shiraz is the workhorse. Grenache is the pleasure." I couldn't agree more. This wine is fragrant, vibrant with energetic fruit. Raspberries and gorgeous floral aromas captivate from the outset. Some aniseed and twigginess too. Medium bodied, the fruits washes across the mouth as though it sits on a puffed up pillow. Dried herb and savoury feels tick away before fine spices crawl through ever so subtly to a long finish tugging at you to get back for more asap. Damn it's a good drink. A wine you could be completely selfish with and not feel bad.